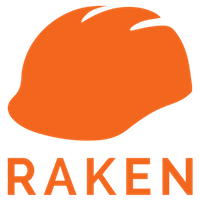 Add your employee and cost code list in Raken so field crews can log hours by just tapping their names! Uploading a list of employees and codes will ensure that your team stays consistent with recording time. It also makes it really easy for field crews to make selections on the app, reducing room for mistake and ensuring accuracy. Navigate to "Company", the "Time Card Setting". 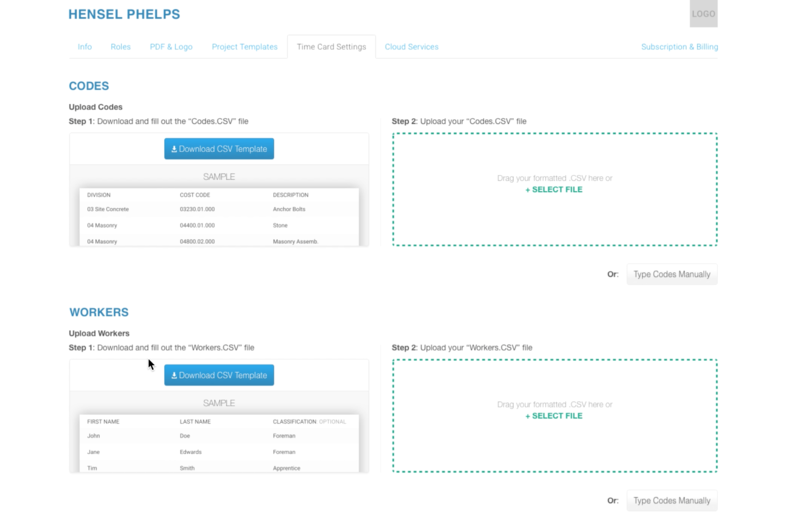 Under "CODES" and "WORKERS", you will be able to download a sample CSV file. Simply populate the file in the same format and click "+Select File" to upload it into Raken. Once uploaded, your employee list and code list will populate automatically in your user's projects. Additionally, you can "Type Codes Manually" if you prefer.